Two of Myanmar’s largest donors teamed up Tuesday in an attempt to boost the country’s education system. One of them also signed a development cooperation agreement. 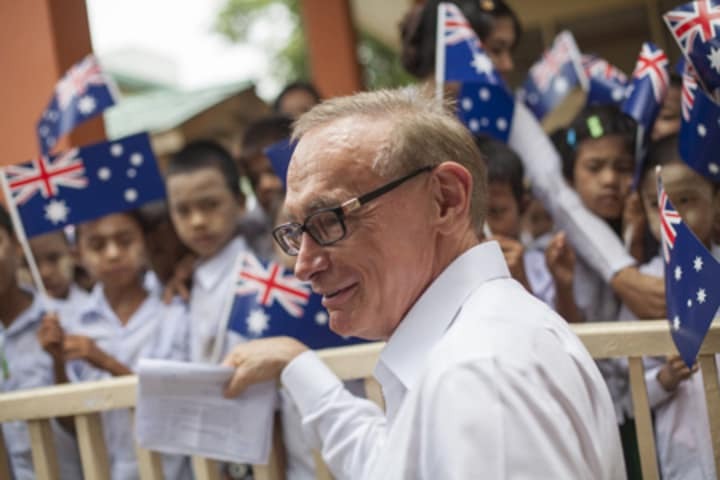 Australia pledged 15 million Australian dollars ($15.7 million) for the Myanmar Education Consortium, a new initiative that aims to provide more access to early childhood education and basic education. The United Kingdom, the other donor in the initiative, will contribute 3.7 million pounds ($5.8 million). The money will be disbursed over four years. To ensure the delivery of quality education, both donors will also provide training to teachers and school administration officials under the initiative, particularly those in rural and remote parts of the country, Australian Foreign Minister Bob Carr said Jan. 30, the day after the initiative’s launch in London. Save the Children, World Vision and the Burnet Institute will implement the program, according to a press release. Carr also announced 600,000 Australian dollars in emergency aid for people affected by conflict in Kachin state. The money will provide for water and sanitation supplies, food and nutritional supplements. The announcements came on the same day Australia and Myanmar signed a memorandum of understanding on development cooperation — the first between the two nations. It was signed by Australian Agency for International Development Director General Peter Baxter and Myanmar Foreign Economic Relations Department Director General Dan Than Than Lin. Under the MoU, both countries will engage in “regular talks” to discuss progress on aid programs and results. In Myanmar, Australian aid focuses on governance, basic education, health services, livelihood, and humanitarian and disaster response.